MANHATTAN — Time is running out to get your sweetheart a gift for Valentine’s Day. The Little Apple Barbershop Chorus in Manhattan is once again providing a unique gift idea, through the power of music, as heard on the KMAN Morning Show Tuesday. That is Charades, one of four Little Apple Chorus barbershop quartets this week delivering singing valentines. Charades consists of Steve McKinzie, Leonard Purvis, Ken Garwick and Tom Fish. Spokesman Mike Shepherd says the tradition of delivering singing valentines has become an annual tradition. Shepherd explains what the process is like as they visit each individual loved one. The Little Apple Chorus hopes to deliver between 100 and 125 singing valentines both Wednesday and Thursday. If you’d like more information, visit littleapplechorus.org or call 785-409-6141. 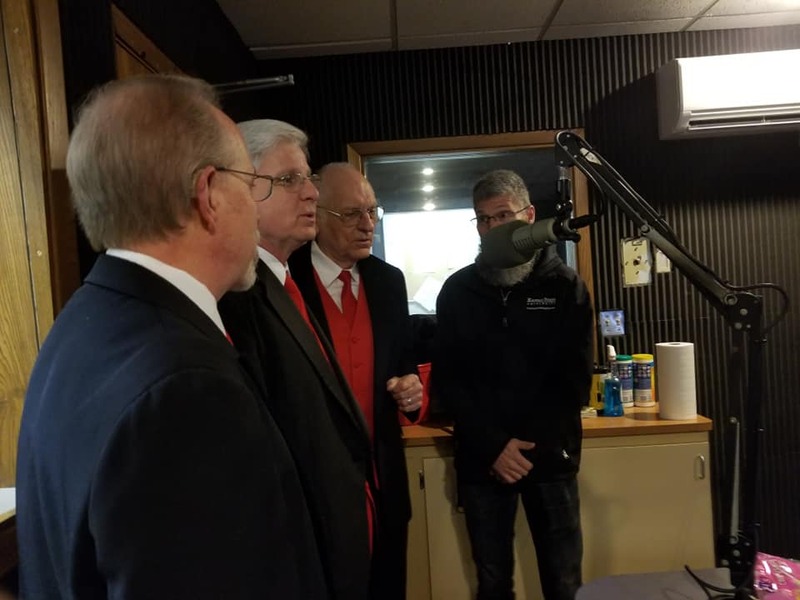 The post Little Apple Chorus delivering gift of music this Valentine’s Day appeared first on News Radio KMAN.